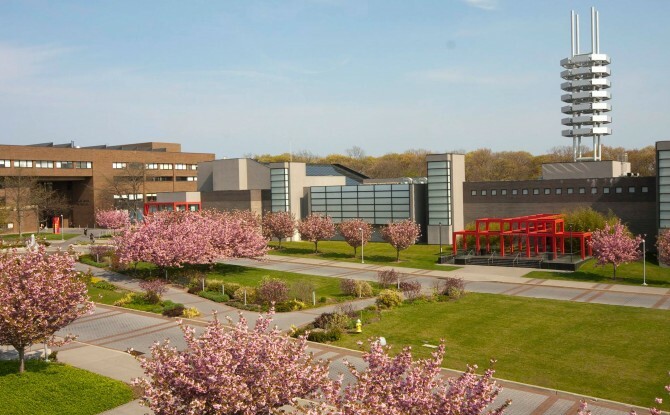 For Stony Brook University, winner of the 2014 Green Cleaning Award for Schools & Universities Honorable Mention, green cleaning started as a simple switch to healthier cleaning products in response to a state order in 2007. From there, it has grown into a campuswide cultural shift and a new definition of what it means to be a Seawolves fan. The cleaning program at Stony Brook is engaging all the important aspects of a high-quality green cleaning program from responsible purchasing to frequent training and the adoption of procedures that promote health for staff and students. However, what really sets this program apart is how the entire school community is being engaged in the process. As you enter Stony Brook University’s arborous campus, the first thing you might notice are the huge banners adorned with the school’s popular team mascot, Wolfie. At first, the signs look like they are announcing an upcoming sports championship game, but in fact they say “Recyclemania!” Stony Brook has been participating in Recyclemania, a friendly competition that pits colleges and universities against each other for bragging rights over who can recycle the most, for the past five years. Stony Brook’s office of sustainability uses a comprehensive communication strategy that includes prominent signage and electronic messaging campaigns to get the student body excited about the competition. Recyclemania is just one example of the way that sustainability has become interwoven with the Stony Brook identity. Effective communication and student inclusion are used with everything from waste disposal to hand-dryers to keep the entire school community engaged with healthier, more sustainable cleaning and maintenance practices. The department uses their equipment to communicate the sustainability program’s mission in a number of unique and engaging ways. Some solar recyclers say “Wear red, think green.” (Red is Stony Brook’s school color.) Other trash receptacles read: “Live sustainably, choose to recycle.” The signage is carefully and conservatively written. “We at Stony Brook walk a fine line,” says O’Connell. “We have to respect our Stony Brook community. We want to have our signage around campus but we don’t want to pollute campus with our message. We pick and choose where to place signs, where we think people will read them as opposed to everywhere.” When accomplished in such a thoughtful and strategic way, the message is heard loud and clear. It’s an innovative way to engage the school community and remind campus that wearing red means thinking green! The annual Green Cleaning Award, presented by American School & University magazine, Healthy Schools Campaign (HSC) and the Green Cleaning Network, recognizes schools with innovative health-focused and environmentally minded cleaning programs. Winners are judged based on the 5 Steps to Green Cleaning in Schools. Is your school interested in being recognized for excellence in green cleaning? Apply for the 2015 award!